The new SuperLite MMA Shin guard has been developed over the last twelve months between REVGEAR USA and Europe to produce a shinguard which is perfect for Muay Thai, Kickboxing and, most importantly, MMA. We appreciate that many Mixed Martial Artists train in multiple disciplines but want to own or carry only one shin guard in their kit bag. What came back after working with UFC fighters such as Andre Fili, Eryk Anders and Alex Caceres was that they required the best elements of the Muay Thai shin pads but they need to be lighter and more manoeuvrable than most of their Thai counterparts. The sock style design which used to be popular a few years ago is largely an unwanted idea with most MMA guys preferring the same feel shin guard that they would use in stand up only environments. 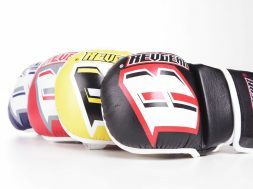 After a lot of back and forth, redesign and testing the #revgear SuperLite was born. 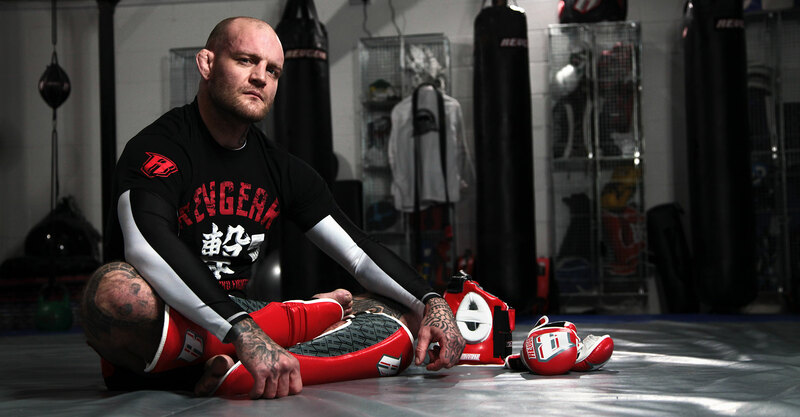 The SuperLite MMA shin guard was designed from the start to be part of the REVGEAR MMA series which includes the Classic MMA Sparring Glove (USA Link) the Champion MMA Head guard and is the perfect partner for Revgears range of MMA shorts and rash guards. One of the features of these new Super light weight shins though is that they are also being very well received by K1 style and Muay Thai fighters. These Fighters want great protection, but they also want to benefit from a light weight, less cumbersome option than the traditional Thai style shin pad offers. “It’s easy to switch to this, certainly perfect for the more advanced fighter or one who wants to use more evasion and their hands more.” – Craig Jose, Northern Kings Gym. Made of 100% leather, the SuperLite shin guard is a professional level piece of kit designed for intermediate to advanced fighters. The shin bone area is double padded which provides the protection where it is most needed, the construction is tough but light weight and the straps are simple Thai style hook and loop. If you’re excited to check this new product out, trust us here at REVGEAR, We’re excited to release it. The Revgear SuperLite is looking like a true trend setter!